The TV show host just opened up about her recent on-air fall. 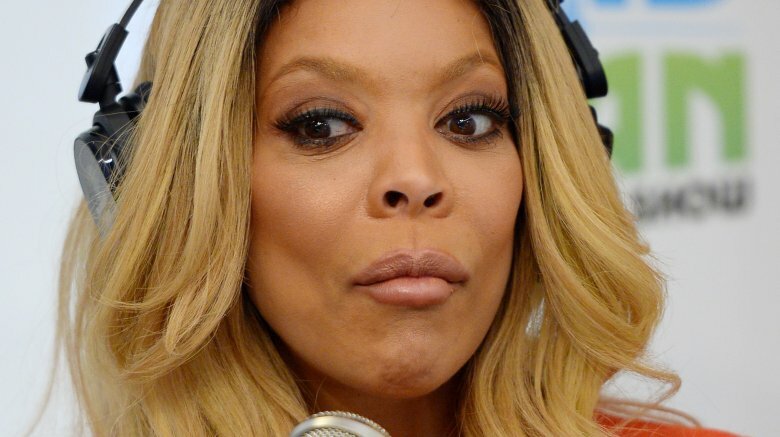 On Wednesday, Nov. 1, 2017, Wendy Williams addressed how she fainted during the show just one day earlier, and the 53-year-old let everyone know that it was not a stunt. "First of all, I was trending all day — fabulous," Williams told viewers (via Us Weekly). "But a lot of people thought that was a joke. No, that was a not a joke. I don't want to fall. I'm a tall woman, and it's a long way down. I'm also a woman of a particular age, and I'm not trying to break anything. Also I don't do stunts and jokes for you like that. I don't need that." She also said that she had sensed that something was wrong moments before she passed out but had chosen to persevere despite feeling unwell. "I'm like, 'Alright, Wendy, at least you're wearing flats and you're holding on to this and there's only 12 more minutes of the show. You can do it, girl," Williams told viewers (via E! News). Williams added that she'd felt hot, dizzy, and "weird." "It was scary. It was really scary," she continued. "It was so scary, all I could think of in the middle of the scare was, 'Don't pull the podium over on you, because that'll make it worse.'" As for the way she fell, Williams said she tried to have it look "as cute as I could make it." As Nicki Swift previously reported, Williams passed out during the live taping of The Wendy Williams Show during the a segment about Halloween costumes. Wearing a Statue of Liberty costume for the Halloween episode, Williams appeared to struggle with her words mid-sentence, sounding out of breath. Looking alarmed, she stumbled backwards, arms shaking, and then collapsed onto the floor. She later returned to finished the episode, after the show's crew cut to a commercial, and told the audience that she'd simply gotten overheated in her costume. Fortunately, Williams does not appear to have been seriously injured in the fall. She told viewers that she'd first fallen onto her behind before her back and head hit the floor. Luckily, she said that she has "no lump" on her body and no headache. "My blood pressure was fine, my heart rate was fine, everything was fine. I'm a 53-year-old middle-aged woman going through what middle-aged women go through, if you know what I mean," Williams, who paramedics reportedly said was low on electrolytes, explained. "The costume got hot. Right before passing out, I felt like I was in the middle of a campfire." Hopefully, Williams will choose a more airy costume next year. It's just not worth risking her health for a cute Halloween look.